Arsenic is actually a naturally occurring element that is in soil and water, and is particularly common in clay soils and near water beds. It’s also used as a pesticide, fertilizer and a preservative. When it’s added by famers to crops it can persist in the soil for many years and it’s also dissolvable in water, and plants will readily consume it as it has a similar chemical structure to many minerals as such, it could conceivably find its way into our food and water. However, because we eat relatively low levels of leafy greens, and because the arsenic content here is very low to begin with, this is unlikely to have any negative impacts on our health. Meanwhile the amount of arsenic in our drinking water is regulated by the government meaning you’re unlikely to suffer any ill effects this way either. On the other hand though, arsenic has recently been discovered in relatively high quantities from a number of other sources – particularly apple juice and rice. Rice is particularly problematic because it grows in water (seafood may also be high in arsenic, but the form is believed to be nontoxic), and it was found in a study by Dartmouth Medical School that eating rice could increase urine levels of arsenic. In another study, arsenic content was found to be highest in the ‘germ’ of the rice which is removed in white rice, making brown slightly more of a risk for arsenic. 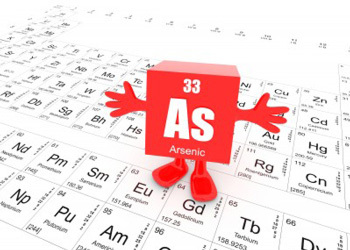 Low levels of arsenic consumption in theory can cause a number of issues such as arrhythmia, nausea, vomiting and low red and white blood cell count, but the potential results of such low levels of arsenic consumed over long periods are currently unknown. Arsenic is however a carcinogen, and so it stands to reason that it might increase the risk of cancer.